Visit Us at the Powell Street Festival! Come by 439 Powell during the Powell Street Festival! We’ve set up a small sidewalk Reading Room to celebrate the Ming Sun and Longshoreman’s Union Reading Room that used to be in the Building. We have been defending 439 Powell Street from official errors and arsonists since December, 2013. Please join us for an update on the background, proposed development, and continuing campaign to save this historically important building and the social housing it encompasses. Sponsored by the Friends of 439, who acknowledge that these events are occurring on unceded Coast Salish land. How does community knowledge – of place, of people, of food – get transferred between generations? Find out how a younger generation is using film as a means to bear witness to a rapidly changing Chinatown, and in a way, give gratitude to the people and places of a neighbourhood. 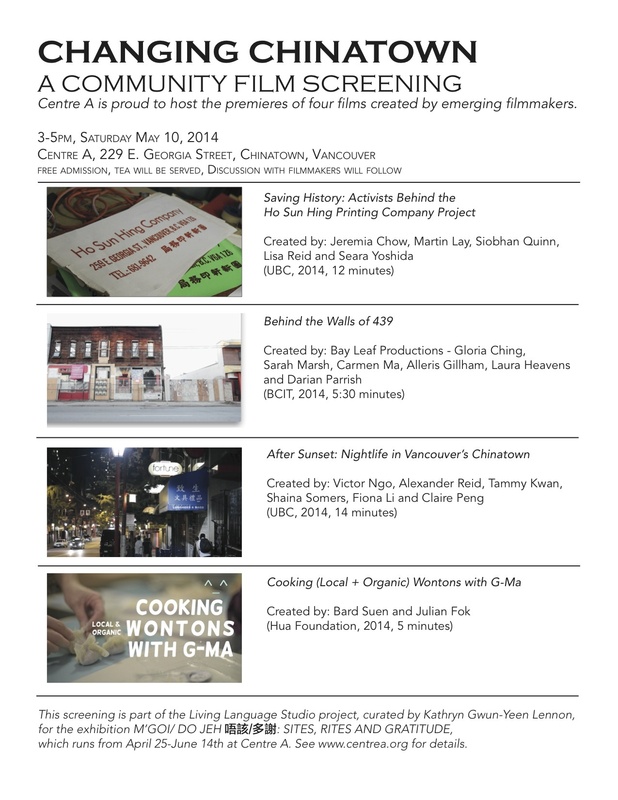 On Saturday May 10th, Centre A will host the premieres of four films created by emerging filmmakers. This screening is part of the Living Language Studio project, curated by Kathryn Gwun-Yeen Lennon, for the exhibition M’GOI/ DO JEH 唔該/多謝: SITES, RITES AND GRATITUDE, which runs from April 25-June 14th. Free admission – Tea will be served and a discussion with filmmakers will follow the screenings. This film shines a spotlight on the work of community activists of the Ho Sun Hing Project. 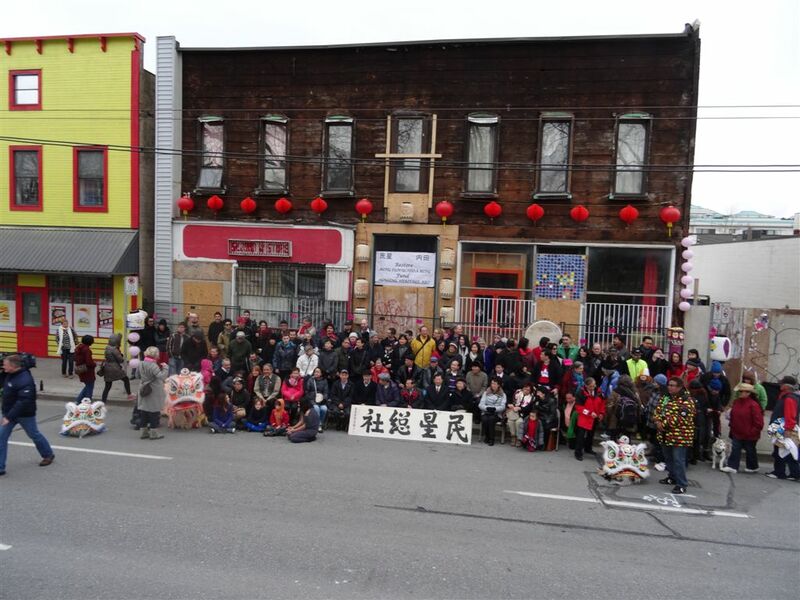 Their common goal of preserving the history and culture of the Ho Sun Printing Company shop and Chinatown has brought them together to start a community project. While these community activists come from different backgrounds, their story of migration has in some ways had an effect on their involvement in this project. A few months have passed since the emergency demolition of a building at 451 Powell Street, across from Oppenheimer Park, in Vancouver. The demolition caused damage to the neighbouring building, 439 Powell Street, the Ming Sun-Uchida building. As a result, residents of 439 Powell St had to be evacuated immediately. 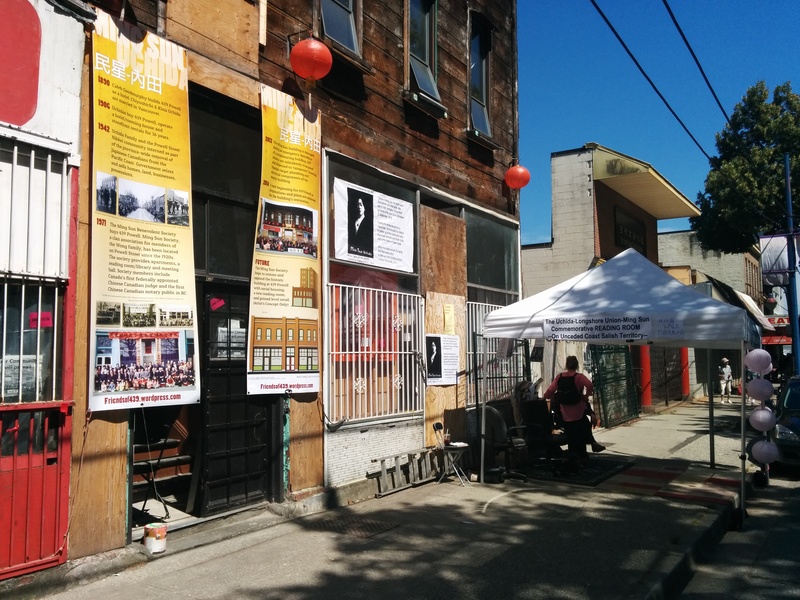 “Behind the Walls of 439″ take a close look at what happened with the building and controversies between the City of Vancouver and the Ming Sun Benevolent Society. Vancouver’s Chinatown has a rich history of a vibrant nightlife. During the 1960s and ’70s, it was characterized by exuberant and colourful neon signs, restaurants, cinemas, and nightclubs such as the Marco Polo Restaurant. As a result, Chinatown formed an ethnically diverse and unique part of the city’s social scene. In recent years, the Chinatown community has worked towards the goal of nurturing new residential and commercial growth in the historic neighbourhood. What role can promoting options for nightlife, particularly for youth, play in supporting neighbourhood revitalization and maintaining a complete community for both young and old? What insights can we gain from cosmopolitan nightlife scenes in cities such as Hong Kong? After Sunset: Nightlife in Vancouver’s Chinatown explores how new businesses and initiatives including the Chinatown Night Market, Fortune Sound Club, and Bao Bei are contributing to a modern take on nightlife in Chinatown. How do these recent developments contribute to neighbourhood culture, heritage preservation, economic development, and life in a multicultural Vancouver? In an intergenerational cooking workshop facilitated by Jessica Van and hua foundation, Grandma Van teaches an enthusiastic group of youth how to cook wontons with local and organic ingredients. Filmed as an instructional music video, learn how to prepare and wrap wontons G-Ma style. Cooking (Local + Organic) Wontons with G-Ma is an ode to our elders who taught us the meaning of food and the powerful role it plays in our families and communities. The Choi Project is an initiative of hua foundation—learn more at huafoundation.org. This mini-documentary was created by Bay Leaf Productions, a team of students at BCIT. Thank you for helping share the story! 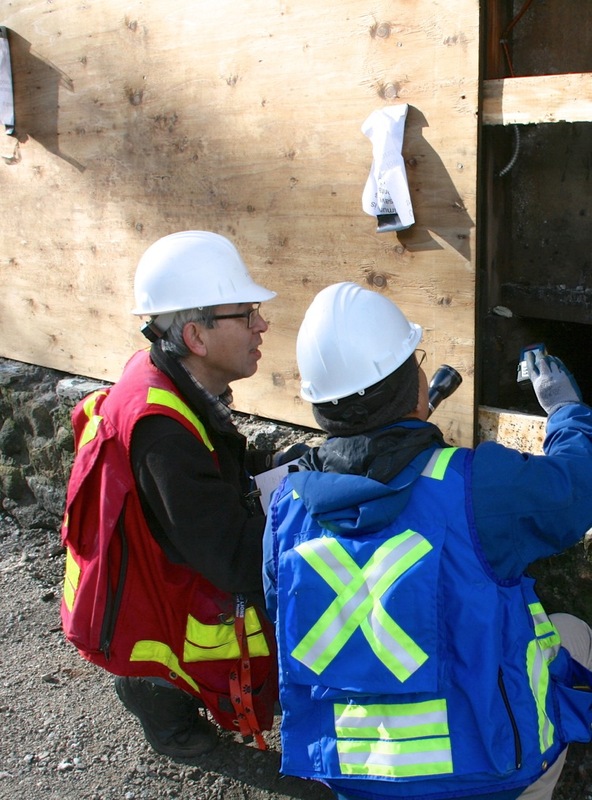 Our consultant team is busy preparing drawings and documentation to obtain permits to repair 439 Powell Street. The Ming Sun will consult with heritage experts in an effort to prepare a good representation of the original façade. 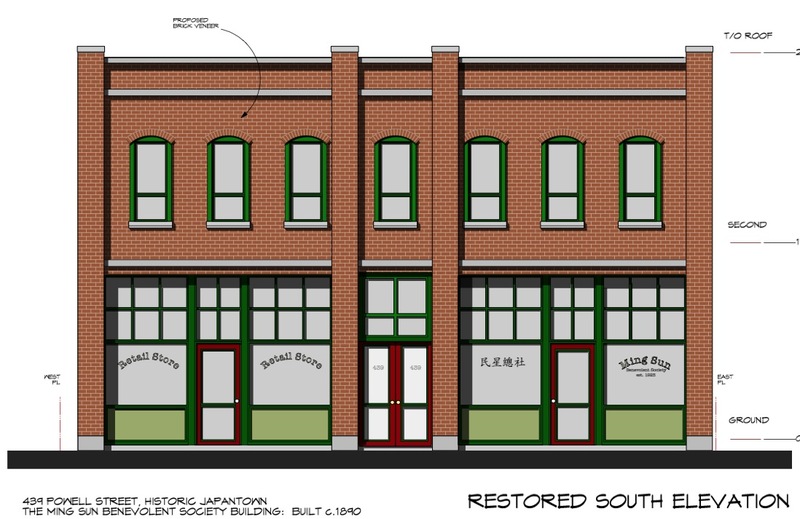 Donations from supporters are very much appreciated, and some of the funds will be earmarked toward the building’s street front restoration. 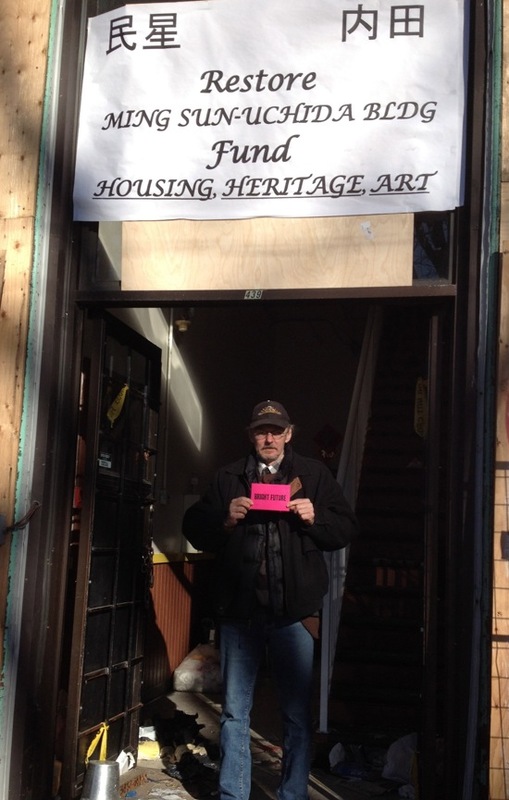 You can now contribute to the defence and restoration of 439 Powell now! Please donate by clicking this link via Paypal or make a contribution at any VanCity branch under the account, “the Friends of 439 Powell” (Branch 28 Account Number 165951). 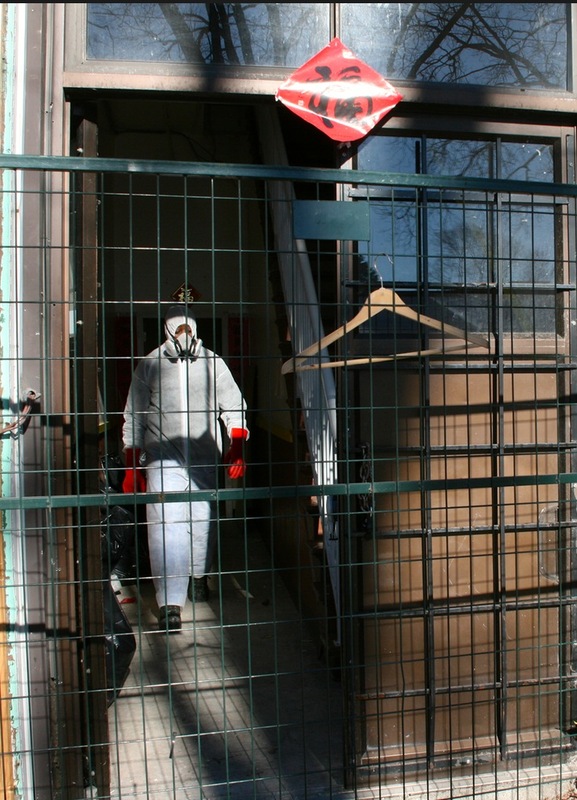 The doors to 439 Powell Street, the Ming Sun building, were finally opened up, after the preparation of a clean up plan. It was so nice to welcome in the sunshine, after months of being locked out by the City. 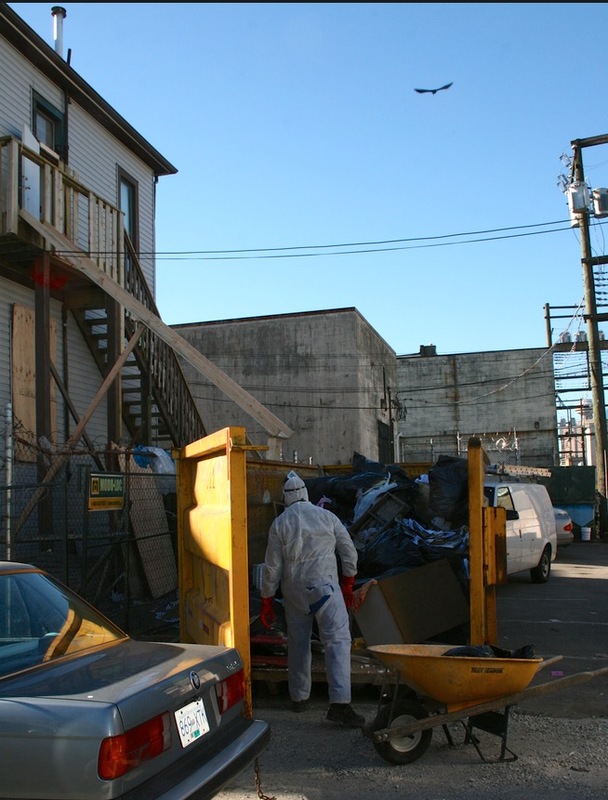 After a week of removing debris and damaged personal belongings from the displaced tenants of 439 Powell, we are pleased to inform that the building clean out is now completed. The saddest thing was to see so many personal effects, once lovingly cared for by the elderly tenants, all water damaged by the cut water lines – chairs, sofas, photographs, books, dishes, clothing, wall displays… all had to be thrown into the garbage bin. Several garbage bins had to be filled. 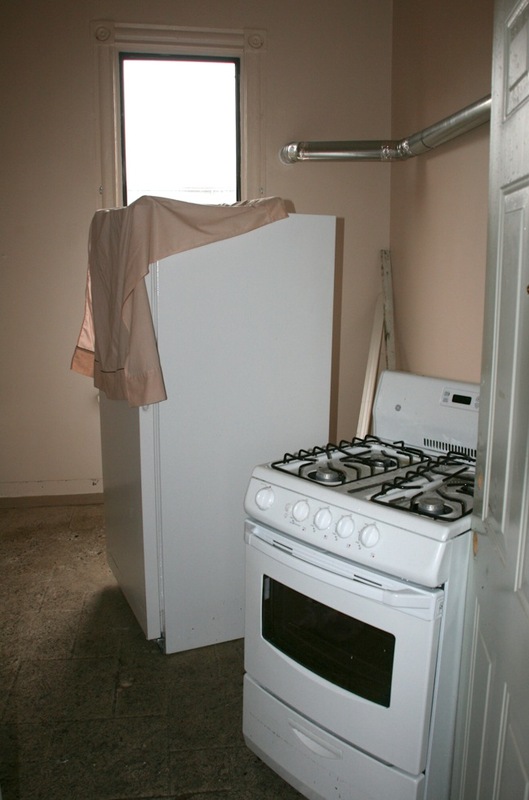 Here are some photos of the building’s SRO (SIngle Residential Occupant) units. 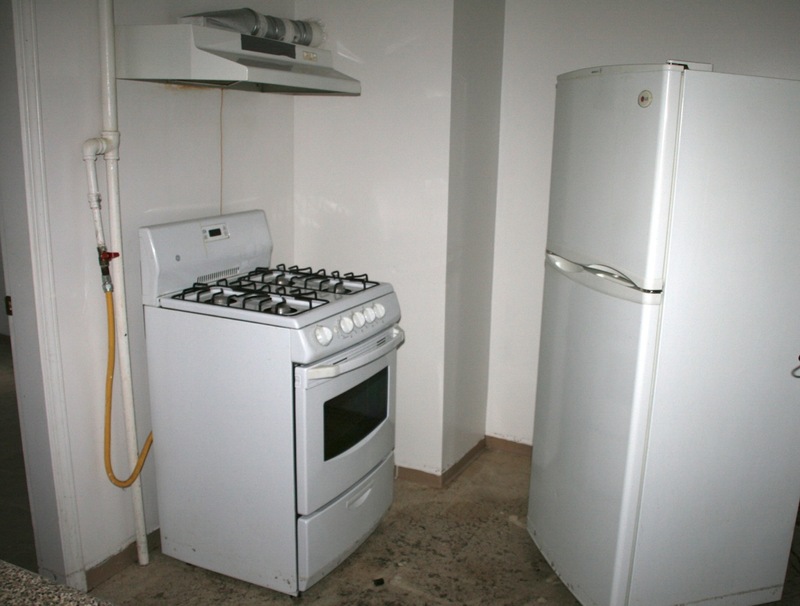 Note how new the appliances and countertops were. 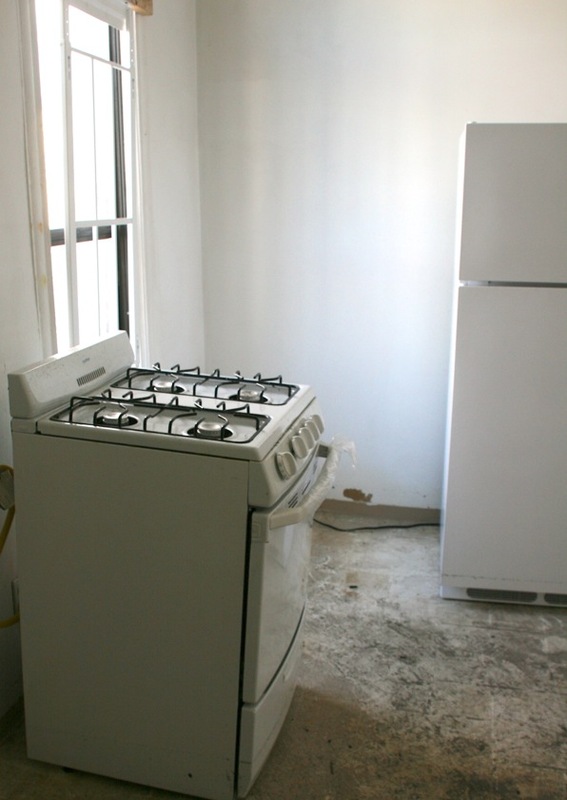 All the SROs had new appliances. Even the walls had been carefully painted and maintained. The building was very well maintained with decades of city inspection reports and permits that document a responsibly kept and properly maintained structure. Regrettably, the criminals who broke in to vandalize the building, stripped metal from all the appliances and damaged the cabinets – stealing water fixtures, copper pipes, light fixtures and much of the personal belongings from the tenants. By this past weekend, the building had been cleared out. So begins the next phase of the building’s repair and restoration. 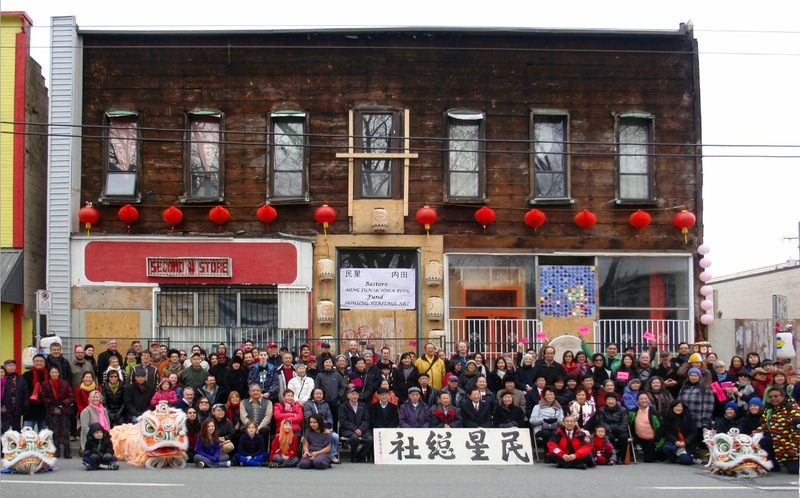 Our engineers and architects are now working with a contractor team to properly assess the building and will make the necessary repairs to bring 439 Powell Street back to its original useable space so that the Ming Sun Benevolent Society may continue to help provide affordable housing. THANK YOU EVERYONE!!!!! An amazing turnout for today’s community photograph…the official final photograph is soon to come, but, for everyone who attended, please feel free to share your images. A very special thanks to our great photographers and helpers from the Friends of 439 Powell and Instant Coffee Artist Collective. We would also like to thank all our supporters (and donors) throughout Vancouver and beyond. For our Twitter followers, please use the hashtags #mingsun #Uchida, #Powell Street, and @439Powell. Thanks!!!! 謝謝! 多謝! It is difficult to break or bend a bundle of chopsticks. We are now actively fundraising for the restoration of 439 Powell (the Ming Sun Building) and, if there is any surpluses after the restoration, donations will assist in the operations of a restored building. You can also donate at any VanCity branch under the account name of the "Friends of 439 Powell" (Branch 28 Account Number 165951). Thanks!